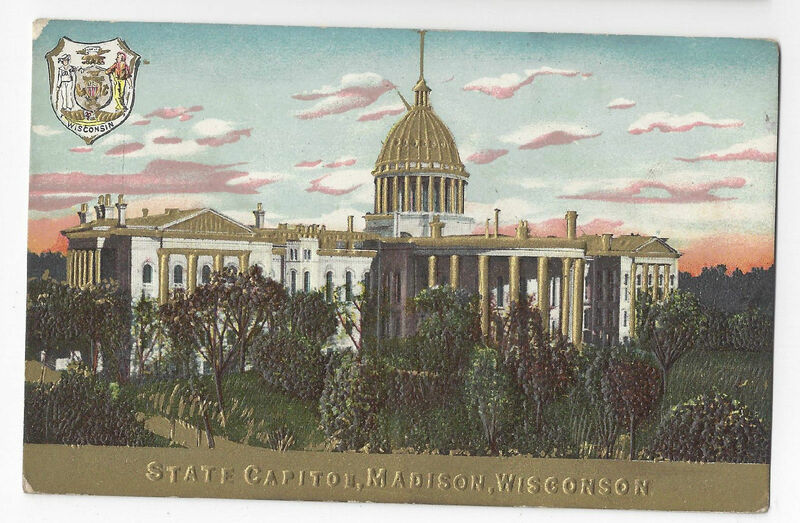 State Capitol Postcard Title: Madison Wisconsin Description: State Capitol and Seal - Embossed, Gold Highlights on building, gold band on bottom Era/Style: ca 1908 Divided Back Artist/Photographer: Publisher: Illustrated Post Card Co. Printer: Postally Used: No Postmark: Recipient: Condition: Very Good - Light tip wear Please study scans carefully for condition **************************************BU 66 Plas Powered by eBay Turbo Lister The free listing tool. List your items fast and easy and manage your active items.